In Roger Ebert’s “Movie Answer Man” column last week a reader asked Mr. Ebert about his thoughts on whether the critically acclaimed and box office giant “The Dark Knight” had a chance at Oscar. Roger Ebert replied, that he would be ‘astonished’ if it didn’t get nominated. I was surprised Mr. Ebert didn’t provide any other qualifications to that statement, because based on precedent “The Dark Knight” is far from a shoe-in. This question needs to be examined. In fact, it would be a major coup if a ‘comic book’ film were to get a Best Picture Nomination. What exactly is the precedent for a film like “The Dark Knight”? What is the history of Oscar and popcorn movies or genre films? And what kind of chance does it stand at Mr. Oscar? Of course we all know it’s only the summer and traditionally most of the Oscar contenders are released in the Fall and Winter. We don’t know for sure what the crop of December Oscar releases will look like, which indie films will emerge out of the woodwork and take the awards season by storm, but considering the enormous success of the film, I believe serious discussion is warranted. Contrary to popular opinion, Oscar is not averse to ‘genre’. In fact most films can be put into some kind of genre – beyond the simple ‘comedy vs. drama’ distinction. “The Departed” was a crime film and won the big award a couple years ago. “Chicago” was a musical, “Lord of the Rings: The Return of the King” was a fantasy film and “The Unforgiven” was a Western, those are certainly genres. One of the aspects that makes the film great is that structurally “The Dark Knight” falls into a crime-thriller as much as ‘comic book’ film, but for sake of argument and in Hollywood’s eyes it’s a comic book film. Unlike the crime saga, the musical, the western, the comedy, comic books are not yet seen as ‘serious’ entertainment. It’s a relatively new genre as well – arguably born in 1978 with Richard Donner’s “Superman: The Movie”. Comic book movies (and specifically superhero films) have always been filmed as summer blockbuster entertainment – the “popcorn films”. So maybe we should look at the history of Oscar and “popcorn films”. This is a considerably shorter list. Arguably, in the last 20 years, I could only name "LOTR: Return of the King" (2003) and “The Fugitive” (1992) as the only “popcorn films” to be nominated for Best Picture. LOTR managed to overcome the stigma of fantasy films and garner an unprecedented three Best Picture nominations for its first film and its two sequels. 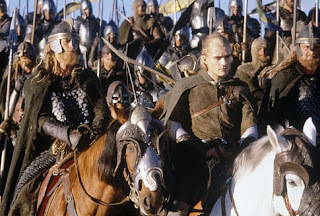 LOTR was no ordinary fantasy film, the shear magnitude of it's filmmaking endeavour, and the fact Peter Jackson delivered the goods on the epic story made its nomination an easy choice. Andrew Davis’ 1992 film was a near-perfect template for a thriller. It exists only for the sake of its action and cinematic thrills. Before it’s nomination, I don’t think anyone could have predicted this TV-remake and disposable thriller would ever be nominated for an Oscar, let alone a coveted spot on the “Best Picture List”. “Silence of the Lambs”, though too dark to be a “popcorn film”, was also a surprise nominee – a serial killer film released in February, the netherland of the Hollywood calendar. Going back to the 1980’s, it’s even more difficult to find popcorn films on Oscar’s lists. 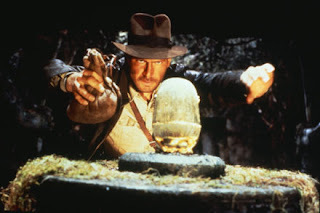 I can only reasonably cite “Raiders of the Ark” as a comparison film to the “The Dark Knight.” A pure action film, with little substance beyond that of entertainment and fun. And before that, it’s “Star Wars” (1977), “Jaws” (1975) and ahem…”The Towering Inferno” (1974). That’s a short list and most of them great films - some of the greatest films of all time. Although the comic book genre is relatively new, there have been some great ones. When discussing the greatest comic book (superhero) adaptations of all time, consistently “Superman the Movie” and “Spider-man 2” are at the top of the heap, same goes with Tim Burton’s “Batman” (1989) and even Christopher Nolan’s “Batman Begins”. Never have any of these films received any Oscar buzz. So what makes “The Dark Knight” so different? And why was Mr. Ebert so confident? Certainly Heath Ledger’s untimely death combined with his great performance warrants Oscar talk. But Best Actor categories have never shied away from popcorn films (ie. Johnny Depp’s Oscar nom for “Pirates of the Caribbean” was expected). Its box office success helps the argument. It continues to break records, and with the crop of films scheduled to be released in August, there’s not much for it to compete against. It will likely continue to play in IMAX screens well beyond the traditional theatrical life of a film (three of the four Toronto IMAX screenings on this Saturday were sold out by midday). But “Spider-man 2” made almost the same amount of money as “Lord of the Rings: The Return of the King” and was equally praised, but was never talked about as Oscar-worthy. Simply put, “The Dark Knight” is no ordinary film and not just a genre-film. It combines traditional elements of popcorn entertainment with a number of serious dramatic layers which lingers well beyond the ride home. It’s now part of the cultural zeitgeist, which can’t be quantified. 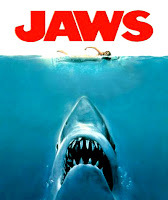 The kind of zeitgeist that helped make “The Exorcist”, “Jaws” “Star Wars”, and “Titanic” gigantic successes. Perhaps its too early to be discussing the Academy Awards, but the more this topic is discussed the more the film will become acceptable as a nominee in the eyes of voters. I think it's got a decent chance at being nominated, but winning? I don't think so. Alan, thank you for doing the research for all of us and showing us the growing change in the Oscars and that Dark Knight can change the industry all over again in March. All of DKs Oscar buzz has kind of grated on me, because I'm of the mind that it is far too early to even be considering nominations. There's just too much still to come. I was also shocked at Ebert's likely overconfidence in the Academy to see beyond traditional lines. Nor would I say it would be entirely surprising if they did give it a nomination. When film's make as big a splash across all lines, critical and boxoffice, the Academy does tend to notice. I think you missed a couple of genre films, however, just from last year. I believe both "Juno" and "No Country for Old Men" to be closer to traditional genre films than more broadly defined dramas. 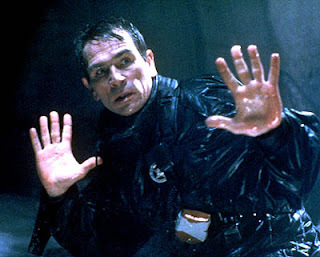 And as for no one predicting "The Fugitive" for a best picture nod upon its release... I did. I doubt the girl I had a crush on at the time but only saw me as a "friend" would be able to remember it to corroborate me on that, however. Thank you Alan, I've been reading all sorts of "instant nominee" proclamations about "The Dark Knight" that has just felt a little too I'm-a-little-too-excited-about-this-movie. While the film is certainly one of the best this year, I don't think it's automatically a shoo-in except in the deserved supporting actor category, cinematography, and possibly adapted screenplay - best picture is just too big of a category to lay all the cards on the table and say that this film has a 100% chance of a nod. Are we forgetting that a mere few weeks before the bat's return the critics were unanimously praising "Wall-E" and considering it as an instant nom... I personally would rather see Pixar's film as a 5th spot nom as it's still my favorite of the year. It just goes to show you how simple minded most critics are... If only I were to be discovered (pat self on back)!